Yining learnt something new a couple of days back. She picked up a cereal snack and stuck it into her mouth. This might seem a simple task, but for a toddler, she simply didn’t have that fine control to pinch the small bit of snack with 2 fingers. This very simple action took her more than 2 weeks to master. And even so, she’s still not very nimble with her fingers, on and off she will still miss the snack or have trouble putting the snack into her mouth. 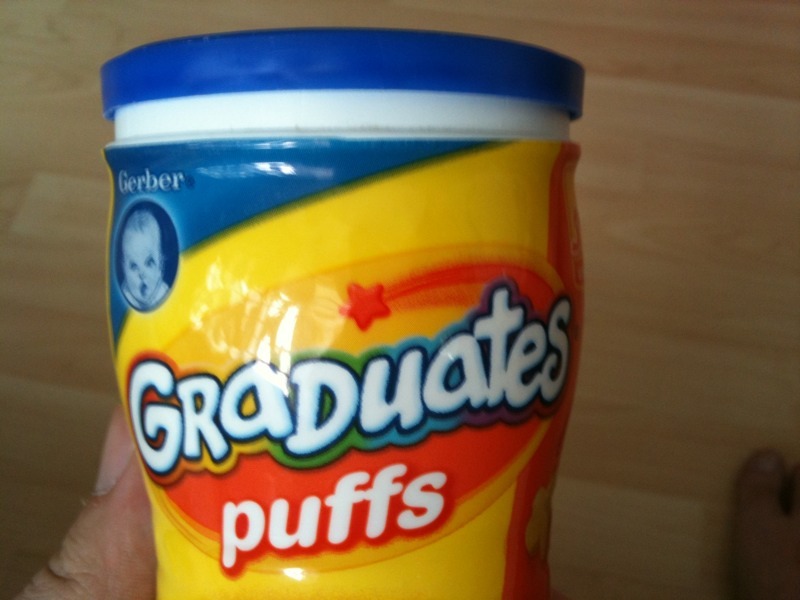 The cereal snack from Gerber. 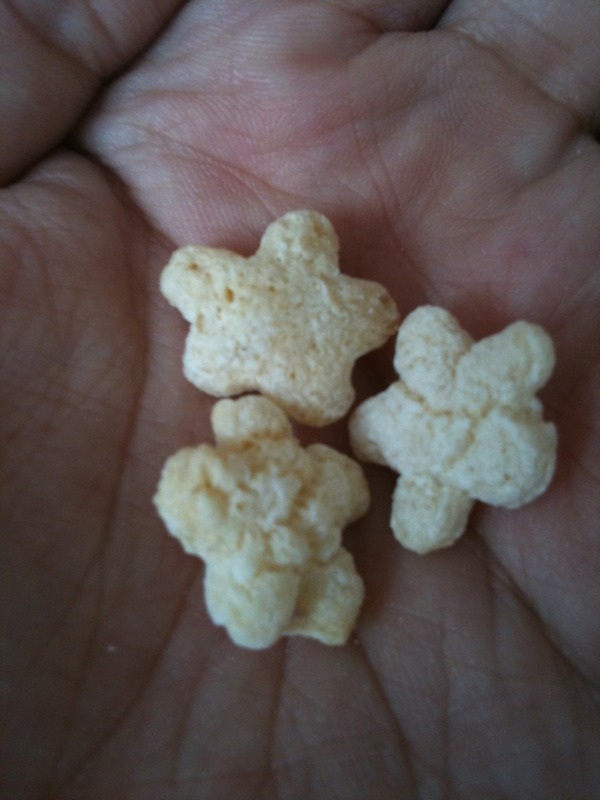 Cereal snacks in the shape of stars. After trying to teach Yining certain simple actions and task, I realize how difficult it is to teach a toddler even the simplest things like feeding herself. Patience is the key.